Integrity is the cornerstone of my business. I believe a mortgage is not just a transaction, but a way to build relationships with my clients while helping them achieve home financing goals. As a Sierra Pacific Mortgage loan officer, I take a consultative approach to the home loan process. This is best done through my customization of each home financing solution that helps my customers reach their financial goals. I have over twelve years of experience in the mortgage industry. I have personally assisted and shared my expertise with hundreds of families resulting in responsible dream home purchases, refinances, and cash-out home finances. I am fluent in English and Tagalog, in addition to speaking French conversationally. I have an extensive background aiding first time homebuyers, high net worth borrowers, and self-employed borrowers. I also have a great deal of experience in dealing with conventional loans and government loans as well as investment property lending. Call or e-mail me today and let's get started achieving your home financing goals. Kathy Tan is the only person you need when getting/refinancing a mortgage loan. She's trust worthy and always has your best interests in mind. Not once did I feel like she was just out for a paycheck because she understands that building long lasting relationships with her clients would get her our business for the next house(s) we purchase. I've gone with Kathy for 2 houses and one refinance for my first FHA loan and each time the experience was seamless. This was the best lending experience Ive ever had. Kathy was the friendliest, easiest person to talk to. She was very knowledgeable, answered my questions every time I called or emailed her, and never seemed annoyed by my constant bother. I would highly recommend her to any friends or family looking to purchase a home or looking to refi a home. This was truly the best experience ever! Thank you Kathy for the amazing service! So I just refinanced my house not too long ago because I wanted to take advantage of the low interest rates and also drop my PMI. I called up Kathy Tan and she explained the whole process to me and ensured me it was a smart decision to make. I can't say enough great things about Kathy and my experience refinancing my home loan. All she asked from me was a few documents and signatures, and she took care of the rest. Completely stress free on my end, and in about a month's time I was approved and officially refinanced. Not only was I able to drop my PMI, I dropped 5 years off my loan and I'm still paying about the same every month!!! Truly an amazing experience. I highly recommend Kathy to anyone who needs to get approval for a home loan, or refinance their loan. 5 STARS ALL THE WAY! Being a first time home buyer I was pretty nervous about the whole process. Thankfully I worked with Kathy Tan and she made sure the entire transaction went smoothly with no problems! Definitely recommend her to anyone looking to purchase a home in the future! I've worked with Kathy on two home loans and let me say she is absolutely amazing! I normally do not set aside time to write reviews, but she has earned my approval, and is worth recognizing. My second purchase, was a new construction, the home builder's preferred lender had some incentives, but in the end Kathy came through with the better deal. She genuinely had my best interest at heart. I highly recommend Kathy! She was quick to respond (day or night) and clearly answered all my questions, she is extremely knowledgable in her field. And most importantly assured I closed on time, I had my keys to my newly built home the same day I closed! Kathy was on point from the pre-qual process to closing. She went out of her way to take care of things most LO's never do to make the home buying/building process a much more pleasant experience. We closed on time and were very happy with our lower rate on a jumbo loan at the closing table. Building a home with local Las Vegas builders can be "quite" the challenge and unfortunately deceitful at times, which could also cost you ALOT of unnecessary fees and monies. Kathy guided us through the whole process and had our back to make sure no such unnecessary fees were incurred or no strings were pulled. She has extensive knowledge in the home buying/building process, as I was once a loan officer myself, and gave us the reassurance and confidence needed to close with no hiccups or breach in regulatory laws and regulations. Fees were satisfactory as expected on the lenders end. We have found our Loan Officer for life...thank you Kathy for our new home! Truly a class act! Sierra Pacific Mortgage is the best! I was in the process of refinancing my home and must have researched and talked to nearly almost a dozen banks and mortgage companies. I was about to go with another company but ended up talking to Kathy at Sierra Pacific Mortgage and decided to go with them at the last moment. The rates compared to others were just a lot better. The whole refinancing process with them was so easy. Kathy made everything so easy and everything ran smoothly. We just had to sign several documents, give copies of the paper work they needed, then just like that after a month everything was done! We were pleased with the outcome, process, and the Customer Service we received from Kathy and the whole Sierra Pacific Mortgage staff. I can't thank Kathy and the whole staff enough, my family and I are very grateful! Kathy was very helpful and focused helping us get through the home loan process. She understood our situation, our needs, and worked hard to accomplish those goals. We closed on time, within the projected cash expenditures and had as good an experience as one can have in escrow. Ms. Kathy Tan is amazing! She was able to help me with the purchase of my first home when I thought I all hope was lost. I worked with two other lenders who turned me down (including my own bank) due to my employment history. I was advised to wait another year because they said I wouldn't qualify. I told my friends about my dilemma and they mentioned Kathy. I got her information and gave her a call in hopes she could help me regain the lost hope. Little did I know, she worked her magic and was able to get me into my new home in TWENTY days!! I couldn't believe it. Can't thank you enough Kathy!!! Ms. Kathy Tan is awesome and very helpful. If you ever need a refinance or mortgage loan see Kathy. "If you are in the trenches with average credit score, and a complex situation, the person you need to hold your hands, and guide you through with calm quiet confidence.....choose Kathy. I have already recommended her to my friends. You must know, I chose her over the builder's referred choice, compare to the builder's choice, she simplified the process, she won't allow you to become overwhelmed, you just need to trust and believe she have you best interest at heart. fyi: ensure timely response with docusign from Sierra Mortgage.. I definitely will use her again and again. Highly recommend, do not try to do this without her. To the one & only Mrs. Kathy Tan, not only did this amazing women help my whole family in time of need but also continued to build a trusting friendship with us all. Always following up with us, making sure we're all happy and just giving her all, I LOVE THIS WOMAN!!! And we can't thank her enough for all her support and hard work.... I've recommended her to many friends & family truly one of a kind! Thank you Kathy. "Kathy helped me from start to finish achieve my dream of owning a home. She answered my questions thoroughly and honestly and always made me feel comfortable during the process. Every step of obtaining my loan was with Kathy's expertise and experience at my side. I had such a great experience with Kathy! She is so nice and was able to help me with all the stuff needed to get pre-approved and closed very quickly. She was on top of everything and great at hunting me down when I needed to get info to her. This was my home purchase and she helped me with all my questions. She is A+++++ to work with and tell all my friends in the market about her. Kathy Tan is amazing!!! i had the best experience with Kathy Tan. She will do whatever it takes to help you get your dream home. She is quick to answer when contacted anytime during the day or even night! Thank you for making our first time home buyer experience unforgettable😊 And not giving up on us.. working above and beyond! Highly recommended! 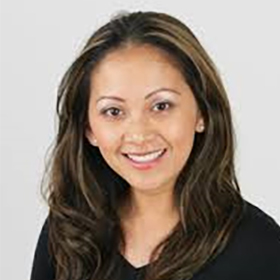 Kathy Tan of Sierra Pacific Mortgage was able to close our deal after 3 lenders failed including the builder's own lender. Lots of patience and expertise. She was able to pull through where the others could't. Will use Sierra Pacific Mortgage again. Thank you! I have used Sierra Pacific Mortgage a few times now to secure both a new mortgage loan, and refinancing it to make it the perfect loan for our needs. I have dealt with Kathy Tan each time and she has been amazing. She is always super friendly and very on top of everything. Plus she never seemed to be bothered when I asked her a million and one stupid questions during the process :) Definitely a great company and will for sure be using them again as the need arises. Thanks Kathy!!! There's not enough words to describle how awesome Kathy is. As a first time home buyer, I was clueless in many ways but Kathy took her time to explain all my questions with great details. She was very efficient in moving the loan process along. Also, I don't have the best credit scores, but Kathy managed to find me a very reasonable interest rate. Thank you for all your hard work Kathy. You're truly one of the best in your field. As a first time home buyers, Kathy was a dream come true. She was patient and thorough when it came to understanding our home buying needs. She was available at all time throughout our pre-approval process and closed. She stayed on top of things and went the extra miles for us. We would highly recommend her and her company for your mortgage needs."